The Viscid Violet Cort Mushroom - Cortinarius iodes has a lovely violet color as well as an almost slimy, slick look to its top. On this day of photographing mushrooms every other mushroom was dry and matte finish. This one looked as if its top had been brushed with goo. It has a lovely violet color. Apparently these come out in August and September. 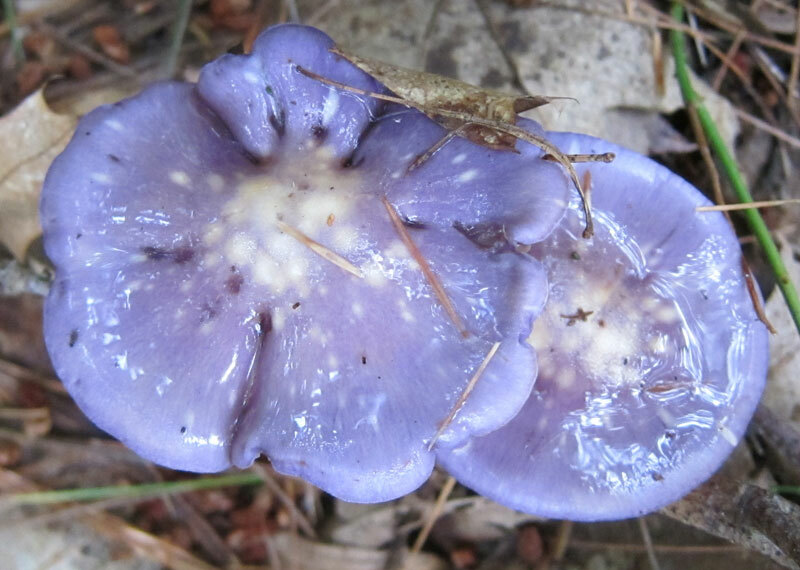 This Viscid Violet Cort Mushroom was photographed in the Sutton State Forest in August 2012.